The event will be held in Guangzhou Baiyun International Convention Center on May 8th and 9th 2018. On the coming 30th anniversary of the establishment of Twin Cities of Guangzhou and Lyon. 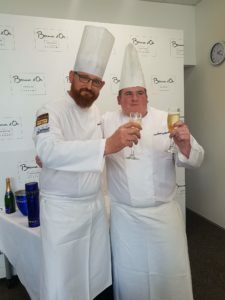 Bocuse d’Or New Zealand Selection 2017 will be held on Saturday 19th (for the Candidates) and Sunday 20th (for the Commis) of August at the School of Hospitality & Tourism, Auckland University of Technology. 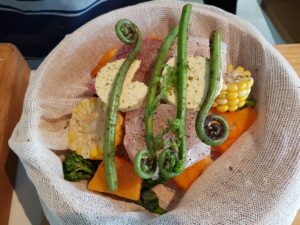 Eye on Nature Family Day community event themed edibles from the ground to the table. 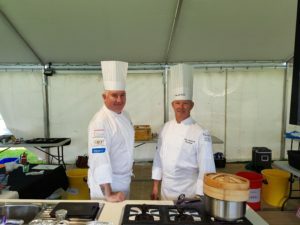 Chefs John Kelleher and David Schofield from Bocuse d’Or New Zealand demonstrate some healthy food options at the Bontanic Gardens in South Auckland in April 2017.